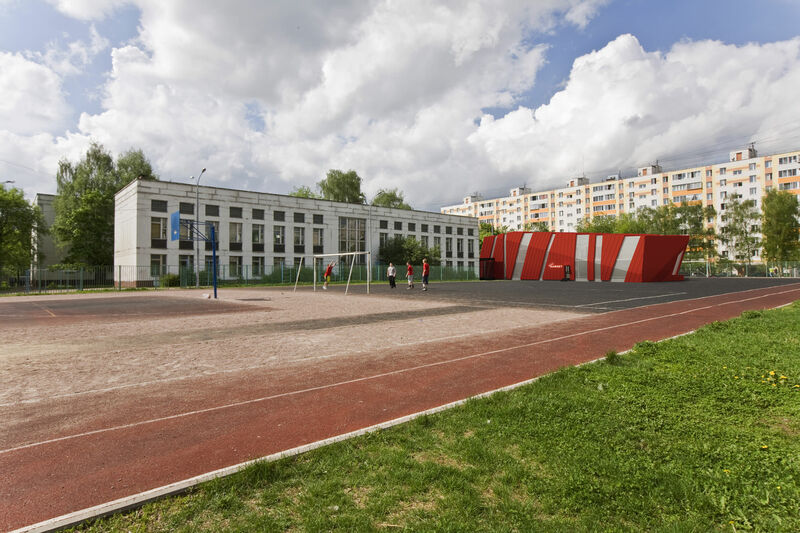 The project considers a possibility of joining of a pre-engineered multifunctional building to a typical Russian school building. 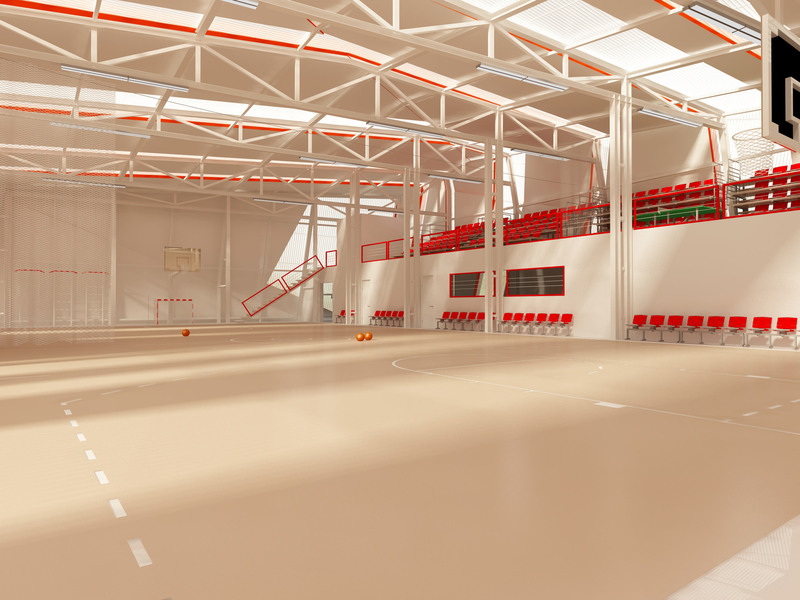 The project combines a gym and a semi-transferable tribune with 238 seats. The building also includes secondary rooms, flexible-purpose spaces and commercial zones with independent entrance lobby. 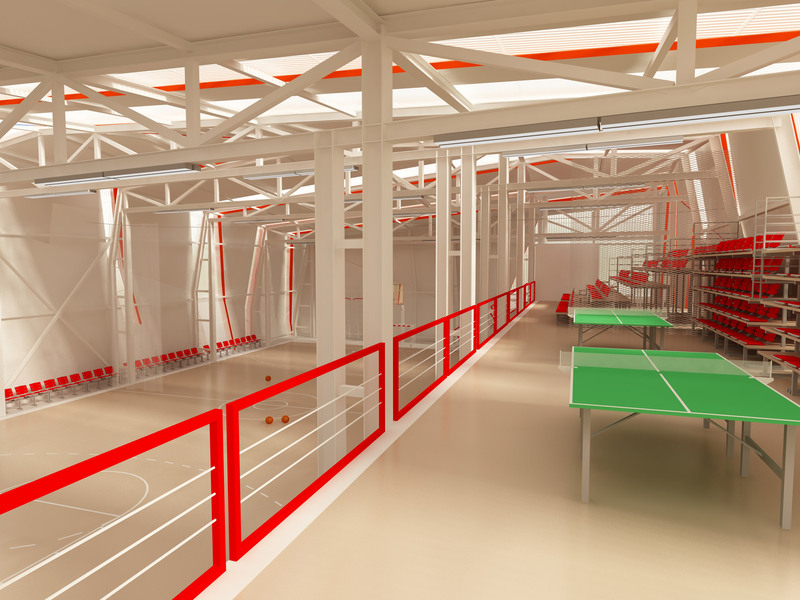 Flexible-purpose spaces have open plan which is variable according to the needs of clients.Total area: 957 sqm (incl. second floor — 177 sqm). 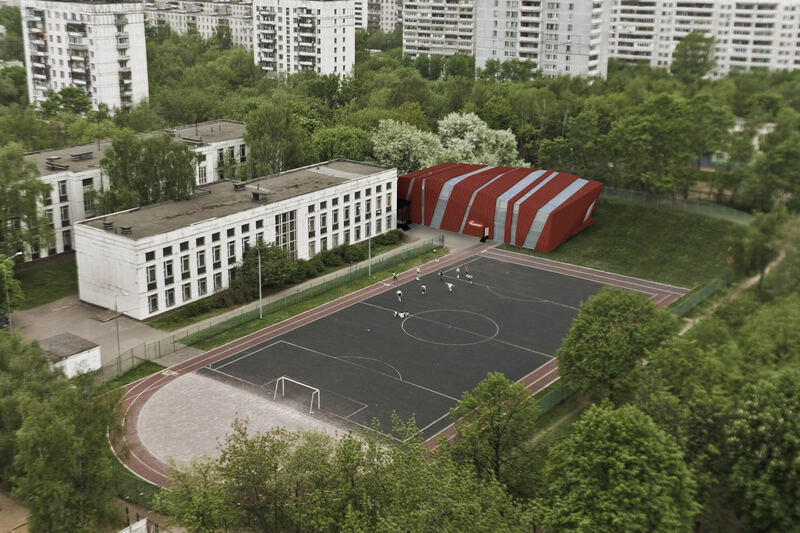 The building is orthogonal with a 5 degrees pitched roof. 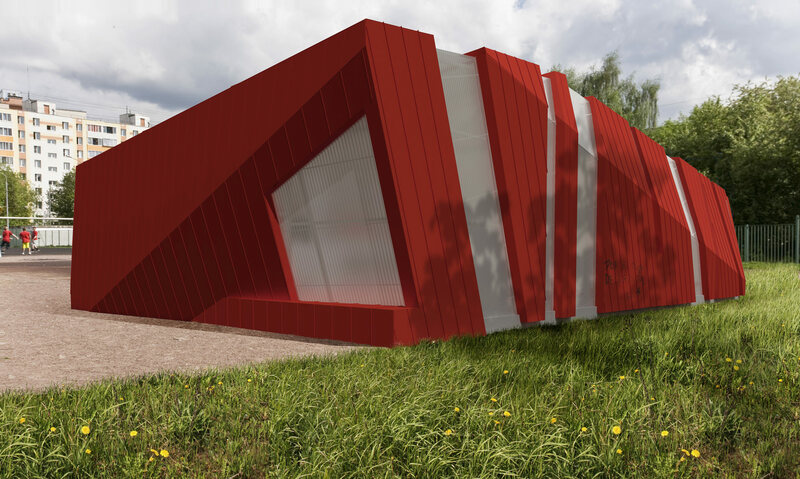 For maximal insulation, the facade and zenith window openings have been provided. 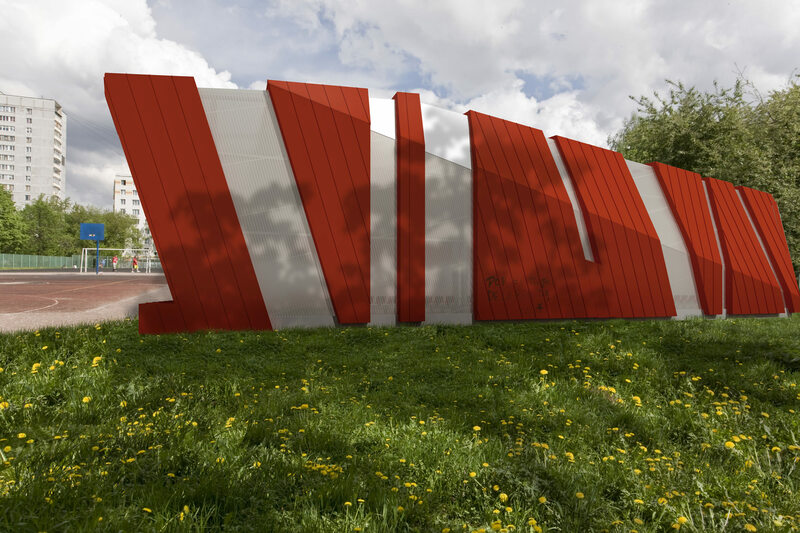 To achieve thermo isolation and safety characteristics, cell polycarbonate panels have been suggested as translucent construction. The second floor has standard transferrable tribunes with 160 seats which enable to use the space as an additional area for sports.